Norway may conjure up images of Vikings, fjords and white-coated countryside, but have you ever considered the Scandinavian country as a place to study abroad? This small country, one of the three sisters – Norway, Finland, and Sweden – holds a number of promising opportunities attractive to an American student wishing to further their courses in history, geography, culture, politics, language or literature overseas. Study abroad students in Norway have a choice between a focused program that fits well into their major, or a more interdisciplinary set of courses that will lead to a broad liberal arts degree. 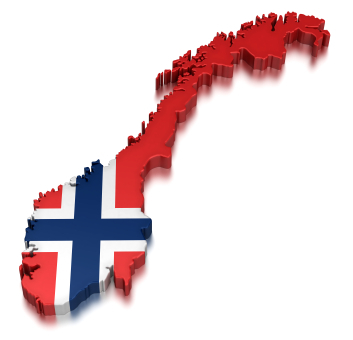 Students should expect to have at least some familiarity with the Norwegian language, although English is also spoken. Of course, it wouldn’t hurt to leave a little time in your schedule for skiing, hiking, or fording a fjord. Explore the opportunities for scholarships to study abroad in Norway below, beginning with a federally funded award and continuing on to private programs. Finally, you will find some scholarship opportunities especially for Norwegians. The Benjamin A. Gilman International Scholarships, while not specific to Norway, provide disadvantaged students with once in a lifetime opportunities to participate in international studies. Qualified applicants must be low-income, receiving the Pell Grant, and able to demonstrate significant financial need above and beyond that. The goal of the Gilman Scholarships is to diversify the future of global leadership by boosting the numbers of minority and socially disadvantaged students in foreign countries, including Norway. For this reason the most sought after Gilman Scholars are minorities, those attending community colleges and two-year institutions, and the disabled. Students must have impeccable academic records and the scholarships are very competitive. Awards are up to $5,000. Make sure your application for this award stands out by being very clear about what you plan to study in Norway, and how it will contribute to the greater good. Michigan State University’s program in Scandinavian Management Perspective at the Norwegian School of Management is uniquely designed to afford students in the Eli Broad College of Business a bird’s eye view of Norwegian leadership systems in the realm of hospitality management. This program is one-of-a-kind and a great chance to get a taste of Norway and America at the same time. The program calls Norway a “postindustrialist knowledge economy” and has detailed information about exactly what options will be available to students studying in Oslo. The MSU Credit Union Scholarships are some of the most easily won and are extremely generous. Candidates must qualify on both academic merit and financial need. The Kellogg Foundation Scholarships are awarded to students on programs through the Eli Broad School of Business. The American-Scandinavian Foundation is the foremost educational tie between the US and Norway. The Foundation provides graduate fellowships and grants to American students and Norwegian students who wish to conduct studies in the other country and have the merit to prove it. Applicants must have impeccable academic records and possess a clearly delineated course of study with an attached need for physical travel to the country. Candidates may receive funds that cover travel and extra expenses, plus all the costs associated with tuition. Preference is given to students who are proficient in the Norwegian language, so make sure to plan ahead and know your vernacular. The Foundation also sponsors a smaller $2,000 prize in translation, for those interested in translating Scandinavian historical literature into English. Fulbright Scholarships are among the most prestigious in the world – they are truly for the best of the best. The program is the most visibly developed effort in the U.S. to promote educational exchange between countries, including Norway. The mission behind the notable program is to build a more cooperative international circle on a foundation of humanitarian and educational ideals. If your intended studies encompass these values and you have the drive to make a competitive candidate, compose a well-honed plan of undergraduate or graduate study in Norway and apply for a Fulbright. The awards are ultra tough to receive, but well worth it if your credentials are all in place. The Sons of Norway Foundation sponsors the King Olav V Norwegian-American Heritage Fund. Students interested in studying Norwegian culture and history in Norway or vice versa may apply for scholarships. Qualified applicants must have superior academic standards in combination with financial need. Awards may be up to $1,500. Furthermore, the Sons of Norway Foundation scholarship listing is definitely worth a look as a great resource for funds. The website lists six scholarships and grants for both Norwegian and American students to study abroad in a variety of pursuits. Rotary International offers ambassadorial scholarships to undergraduate students wishing to study abroad in a range of non-traditional countries including Norway. Eligible applicants must be taking on a program built on a humanitarian theme and recipients will be expected to make a professional presentation to a Rotary audience after the program is complete. Applicants also must have excellent academic records and financial need, and be capable of representing the best that America has to offer. Keep an eye out for Rotary International to start offering its global grants for $30,000 for work in the health, sustainable development, and education arenas of foreign countries. If you are interested in doing any sort of philanthropic work in Norway, this huge grant could be the key to your success. Get in touch with your local chapter of the Rotary club to apply for these scholarships or grants. In searching for scholarships devoted specifically to the education of Norwegians, we find ourselves again at the American-Scandinavian Foundation. At the same time the Foundation provides generous scholarships for U.S. students to study in Norway, the organization offers even more money for Norwegian scholars to come and study in the U.S. Preference is shown to graduate or post-graduate students whose research demands travel to the U.S. The Norway-America Association provides hundreds of thousands of dollars to students, mostly Norwegian, for studies here in the U.S. and even in Canada. They also offer helpful incentives like visa assistance, summer courses, and travel advising. To compete for these awards, applicants must be academically exceptional and persuade the benefactor that they have a purposeful path of study in America. For a country about the size of California, Norway has a significant two-way road of dialogue and educational cross-pollination with the US. Students in either country who wish to study in the other should not have a tough time receiving scholarship funding to do so. Make sure you check with the study abroad office of your college or university to see if they have any Scandinavian study programs, or if not, to see if you can create your own with a personalized course of study. The more philanthropic and culturally relevant your intended courses and career plans, the better chance you have of finding a generous benefactor and furthering the relationship between Norway and the US.